Interestingly, one of the most frequent questions I get as a conservator is, “How much is my ______ worth?” Especially because of the popularity of Antiques Roadshow, people who have been cleaning out their attics wonder if they’ve found something like Claire’s Seymour Card Table. It is understandable that folks conflate the appraisal profession with conservation but these are not the same. The Code of Ethics recommends that conservation professionals avoid “considerable potential for conflict of interest in activities such as authentication, appraisal, or art dealing”. I feel this keenly. When you develop a proposal for treatments totaling say $1,000 and the client turns to you and says, “Sheesh. That’s a lot of money to me. Do you think it’s worth it?” what am I supposed to say? How could anyone in good conscience wear both hats of appraiser and conservator? (Lest you think this example is hyperbole, I assure you I have this conversation all the time.) I always have to inform the client of the conflict of interest and direct the client back into the driver’s seat of decision making. All that said, is it fun to see what objects sell for at auction? You bet. 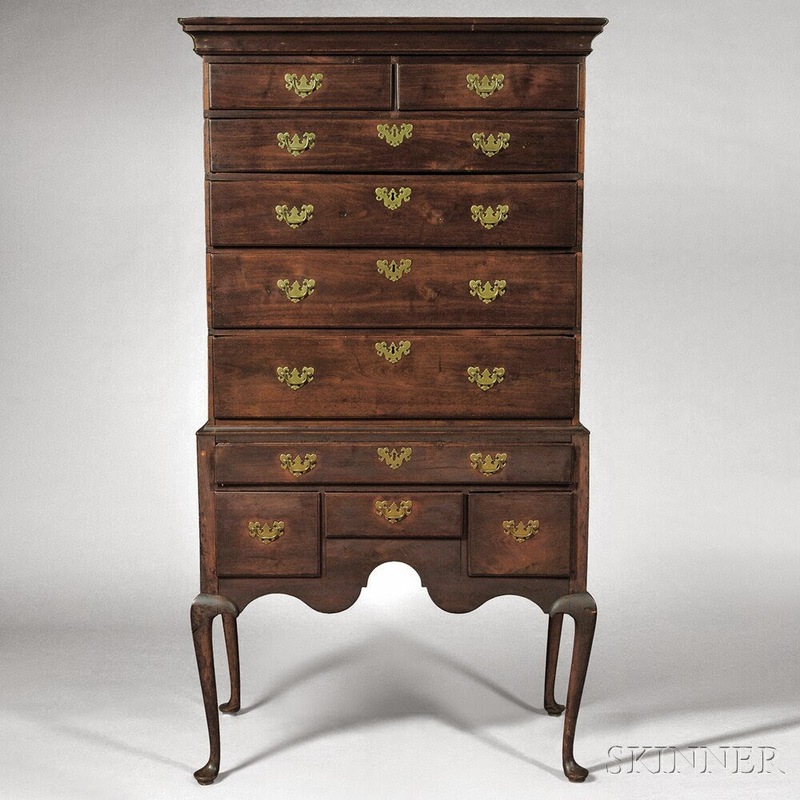 I enjoy wandering the auction sites to see what people value in the decorative arts world. One of my favorite sites is Skinner. 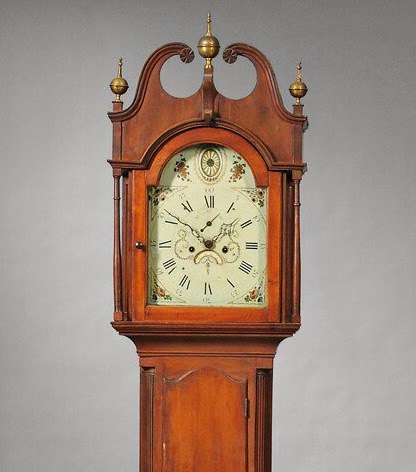 They recently ended their American Furniture and Decorative Arts auction in Boston and all of the results are posted on their website. I love the clear photographs, measurements, provenance information, etc. It’s great fun. 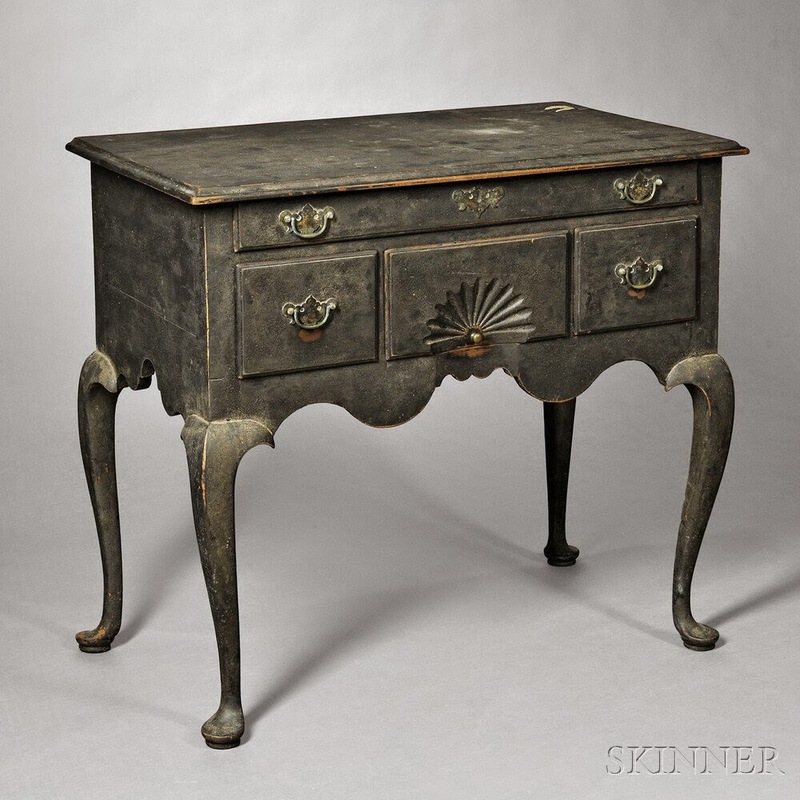 There are 334 lots and a lot of it is good old handmade American furniture with beautifully patinated surfaces. I urge you to take a look at the pages and see if there isn’t something that peaks your interest. Drop a comment about your findings. I’d love to hear what elicits your admiration. Original finishes with original dust, too, capture premium prices.